Taxes do not result from a market process, nor do they reflect allocation decisions of resource owners . . . In other words, taxation is a method of intervening, not an alternative to intervention or nonmarket allocation. (O'Driscoll and Rizzo, cited in Efficiency and Externalities in an Open-Ended Universe, Ludwig von Mises Institute, 2007, p. 13). A better approach to encouraging the switch to non-fossil fuels is to put a price on carbon, which makes all alternative energies relatively more competitive and then allows the market process to discover the best new energy sources. But this underlines the very point I am trying to make. He and the Centre for Independent Studies are promoting a tax that would override the market's allocation of resources. Humphreys also argues that the tax would be "revenue neutral". That is totally irrelevant. What matters is the impact of the tax on capital. (I use the term capital in the Austrian sense of the word. See How the Laffer curve really works). This is why we need to drive home the point that the carbon tax is not just a tax on energy, it is a tax on Australia's capital structure and the process of capital accumulation. Any half decent economist should know that, just as he should know that as per capita investment rises so does the per capita consumption of energy. This is why we consume vastly more energy per capita in 2007 than our forefathers did in 1807. These alleged alternatives suffer enormous diseconomies of scale that can never be overcome. This makes them horribly uneconomic. On the other hand, centralised power generation enjoys economies of scale, meaning it enjoys long run falling average costs. Therefore, 'investing' in alternative energy sources amounts to a deliberate policy of creating malinvestments that dissipate capital. Let me put this another way: forcing Australia to rely on solar and wind for power would be akin to a government ordering a steel works or a car factory to be broken up into a number of much smaller operating units. The result would be horrendously higher prices, a massive increase in the costs of production and a drastic fall in output and consumption. Therefore, by focusing on the impact that the carbon tax would have on the capital structure it can be easily seen that the idea of "revenue neutral" is deflecting attention from the real costs of the tax. (Whenever I come across schemes like the carbon tax I am always reminded of Mao's disastrous Great Leap Forward ). As we can see, the application of a little capital theory3 to Humphreys' proposal makes a mockery of his assertions that a carbon tax could also be "welfare-neutral" and "equity neutral". (Does any serious economist really think there is such a thing as a "neutral tax" in any form?) Mr Humphreys' refusal to allow that solar and wind have drastic and insurmountable natural limitations suggests that he has trouble handling facts when they conflict with his opinions. Furthermore, consistency ' to put it politely ' does not appear to be one of his virtues. To put not too fine a point on it, I think our Mr Humphreys is a rather disingenuous fellow. In his executive summary on page ix he calls global warming a "potential threat" and that "scientific opinion suggests . 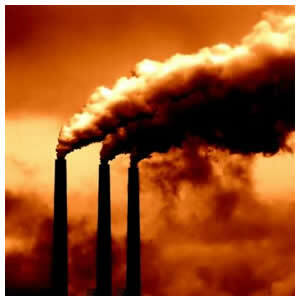 . . greenhouse gases (such as carbon dioxide) are leading to global warming". (Italics added). He then continued in the same vein. However, when we get to page 1 all doubt about global warming vanishes and we are told ' with absolute certainty ' that "There is an emerging consensus in Australia that the government needs to take further action to help combat anthropogenic global warming". (Italics added). Other studies, such as Peter Doran's in Nature in 2003, show actual cooling in recent decades. There is a small area of significant warming in the peninsula that points towards South America, but this is less than 2% of Antarctica's total land mass. (Patrick J. Michaels More Ice Than Ever, The American Spectator, 5 February 2008). In a 2003 poll conducted by German environmental Researchers Dennis Bray and Hans von Storch, two-thirds of more than 530 climate scientists from 27 countries surveyed did not believe that "the current state of scientific knowledge is developed well enough to allow for a reasonable assessment of the effects of greenhouse gases." About half of those polled stated that the science of climate change was not sufficiently settled to pass the issue over to policymakers at all. (Canadian Professor: Prepare for Global Cooling, NewsMax 21 June 2007). NEW evidence has cast doubt on claims that the world's ice-caps are melting, it emerged last night. Satellite data shows that concerns over the levels of sea ice may have been premature. It was feared that the polar caps were vanishing because of the effects of global warming. But figures from the respected US National Oceanic and Atmospheric Administration show that almost all the 'lost' ice has come back. . . . Figures show that there is nearly a third more ice in Antarctica than is usual for the time of year. . . . vast swathes of the world have suffered chaos because of some of the heaviest snowfalls in decades. . . . The UK has reported one of its warmest winters on record. (Tony Bonnici Global warming- It's the coldest winter in decades, Daily Express, 18 February 2008). It would pay Humphreys ' assuming he is genuinely interested in the topic, which I doubt ' to read Christopher C. Horner's The Politically incorrect Guide to Global Warming and Environmentalism (Regenery Publishing Inc. 2007). Unlike anyone at the CIS, Horner is an acknowledged expert on global warming. His book was highly praised by Dr Richard S. Lindzen (Professor of Atmospheric Sciences, MIT) and Dr Fred Singer (former director of the US Weather Satellite Service and professor emeritus of environmental sciences, University of Virginia). I am writing in their tradition; yet I have realised, as my work has continued, that it is a wider and bigger tradition than it at first appeared. The "Austrians" were not a peculiar sect, out of the mainstream; they were in the mainstream; it was the others who were out of it. (John Hicks, Capital and Time: A Neo-Austrian Theory, Clarendon Press, 1973, p. 12). Austrian economics from 1871 until the 1930s was economics developed by Austrians in Austria. It was not even clear that the national distinction reflected any sharp doctrinal differences with neo-classical economics. (Karen I. Vaughn, Austrian Economics in America: The Migration of a Tradition Cambridge University Press, 1998, p. 10). Menger-was successful in establishing a school of enthusiastic and highly talented followers, the Austrian School, whose doctrines spread over the whole world, and for a period of fifty years set the course of all work and discussion in theoretical economics, and to some extent in fiscal theory too. (cited in Economics as a Coordination Problem, Gerald O'Driscoll Jr. Sheed, Andrews and McMeel Inc, 1977, p. 6). the new ideology-free tools of mathematical economics had demonstrated that effective planning could be accomplished by by employing the perfectly competitive outcomes of the Walrasian system. (Frank M. Machovec, Perfect Competition and the Transformation of Economics, Routledge, London and New York, 1997, p. 74). Humphreys' assertions about Smith and Ricardo in the nineteenth century don't hold up at all well. It was Colonel Robert Torrens who, in an address to the Political Economy Club that Ricardo helped found, announced the death of Ricardian economics. And that was in 1831. As for the idea that classical economics had completely embraced the labour theory of value - it just ain't so. Humphreys' reference to the calculation debate of the 1920s and 1930s is also off beam. What many people failed to see is that Hayek reformulated the calculation problem in such away that he inadvertently weakened von Mises' case against central planning. Finally, Austrian economics has enough enemies as it is without Humphreys trying to defend it. 1. Intensive energy industries could move offshore to avoid the tax. Aluminium smelting springs to mind. This could be just one of the visible effects of a carbon tax. Then there are the invisible effects like the investments that would have taken place in the absence of the tax. 2. For the life of me I cannot understand why Humphreys' neglected ethanol as a source of energy. After all, according to his logic the government should keep raising the excise on petrol until a point is reached where ethanol becomes "competitive" or "market processes" develop another source of fuel. 3. Mr Humphreys' paper strongly suggests that nothing resembling capital theory is taught at our universities. 4. Everything you always wanted to know about Austrian Economics But were afraid to ask, IPA Review, March 2007.